Since flat-screen TVs debuted, the problem of where to put them started plaguing homeowners. If there is a fireplace already in the room, the TV often ends up hanging above it, or off to the side. 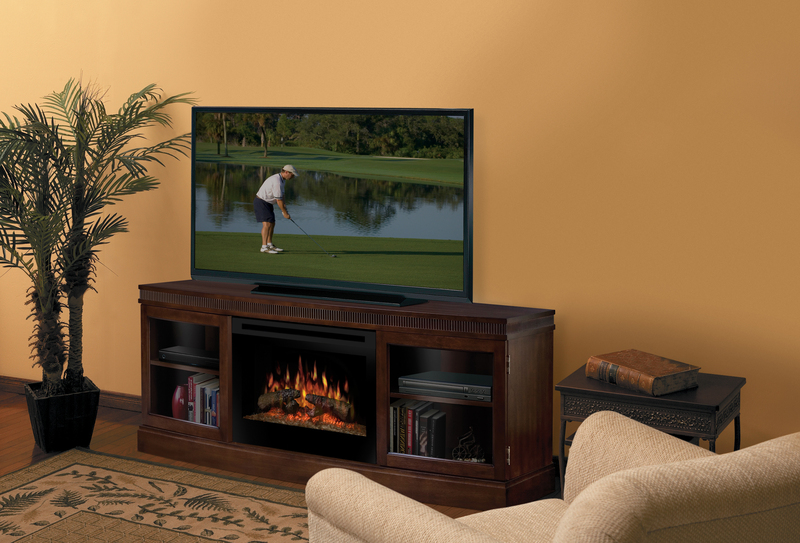 The media console fireplace solves this problem by combining all of the elements—TV, fireplace, and media storage—into one neat unit. The Wickford media console from Dimplex is the perfect solution. It is capable of holding a television up to 60 inches and houses two shelved storage compartments for electronic components, DVDs, and other essentials. The transitional cabinet style with its subtle dentil molding and stepped base adapts well to most decors and is enhanced by its rich burnished walnut finish. 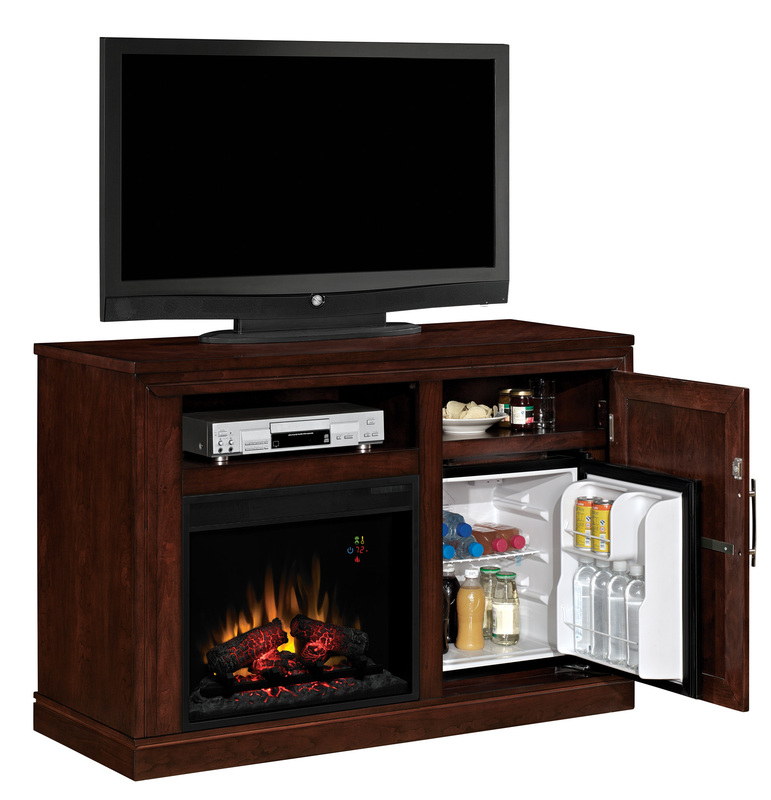 The Triple-Function Media Mantel Cabinet from Twin-Star International is ideal for sports fans and home entertainers, and is also well-designed for small spaces. Its left side contains a 23-inch Classic Flame electric fireplace insert. On the right side, behind a locking solid door, there’s a shelf for storage and a thermoelectric mini cooler. The unit has integrated wire management and comes in two shades: empire cherry and oak.